Play Park is designed as an inclusive space, accessible to all and full of attractive programs for people of every interest and age groups to enjoy. Teenagers can hang out at the skate park behind the berm; Parents with strollers can relax and enjoy a coffee with friends watching their kids climb, slide and roll down the rubber landforms; thrill seekers can bike through the bumpy BMX circuit; explorers can adventure in the enchanted forest and the bioswale to watch and learn about the local wildlife. Intimate moments of tranquility and repose can be experienced at the flower garden and on the rolling hills. Spectacle and action can be enjoyed looking at the skate bowls and BMX tracks from the safe main path. For special events Play Park will transform into a venue buzzing with life and activity, the main open lawn becoming a large performance space accommodating from 100 to 500 people. 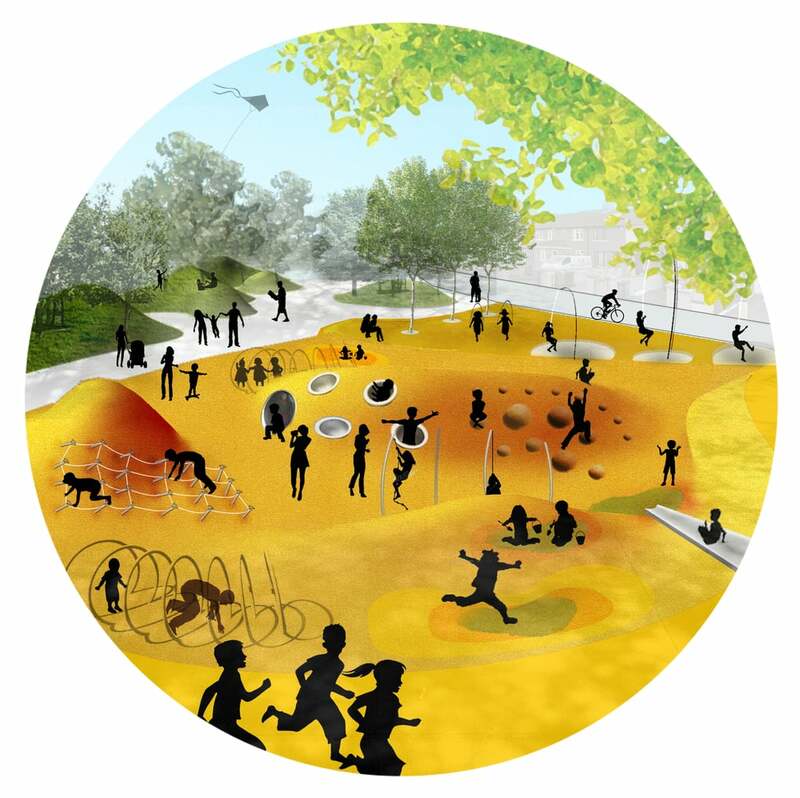 The programs and activity of Play Park are concentrated and organized along the main path that runs the length of the site.